seem to relate and connect as they tell the story of my environment and life. As we face climate changes, documenting the natural beauty around us is as important as ever. 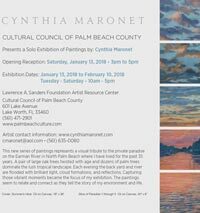 Artworks by artists living or working in Palm Beach County have captured the wonders of this beautiful earth in multiple mediums: from photography to sculpture, plein air painting to site-specific installations and video to watercolor. Artists utilize organic objects, synthetic materials and digital media in turn “preserving” the essence of nature in this exhibition. The Environmental Resources Management of Palm Beach County and the Viridis Collective will be offering lectures on our county and the artistic process, respectively. In five days, five new exhibitions will open in our gallery. Here’s a sneak peek. To RSVP for the member’s only preview, visit http://ow.ly/UfA5n. 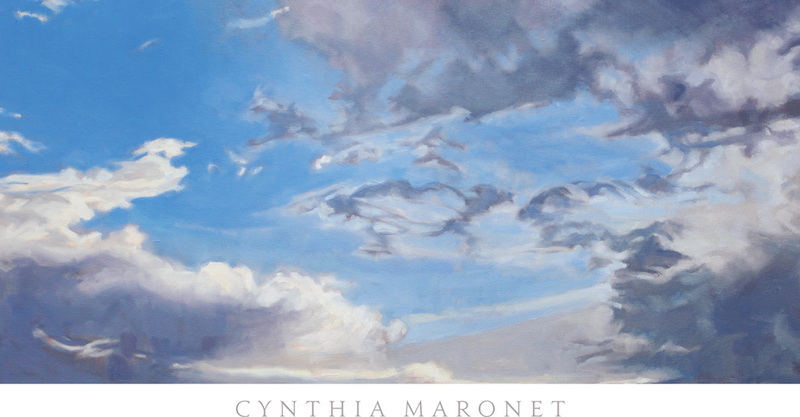 Please join us at the Cultural Council on March 22, 3-5 P.M. to celebrate the opening reception of Cynthia Maronet in the Lawrence A. Sanders Foundation Artist Resource Center. Refreshments will be served. 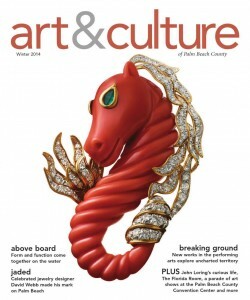 Founded in 1989, the GardensArt program is a unique program that exhibits the work of locally and nationally recognized professional artists and photographers. It was established to increase the opportunities for cultural exchange between artists and the community. The rotating exhibits are loaned to the City for approximately six to eight weeks and provide contact with a broad spectrum of high quality artwork through varied techniques and mediums. GardensArt has earned and maintained an exceptional reputation among professional artists and the community as a whole. The program offers workshops, artist demonstrations, musical performances, and community partnerships in order to make the program more interactive. All of the exhibits are free and open to the public.